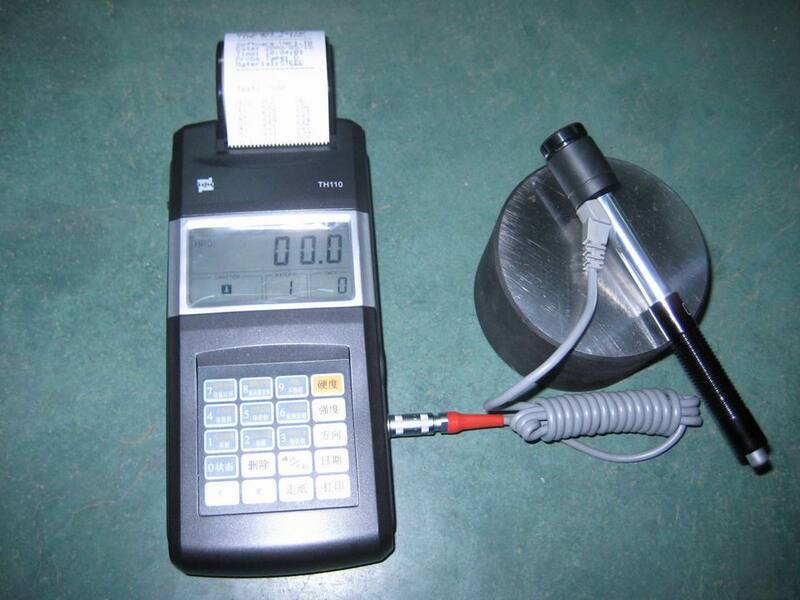 Function: Portable Hardness Tester Model TH110 is designed on basis of the basic theory of Brinell Hardness Testing. The testing load is accurately controlled by shear pin. The indentation diameter is read by reading microscope after the indentation is indented on test specimens. Six kinds of hardness (HL, HRB, HRC, HB, HV, HS) results are available. Use: Test the hardness of material.